There has never been a more important time for eCommerce companies to craft and execute sophisticated SEO strategies. Recent changes to Google’s algorithm, the transition to mobile, and other changing trends in the world of eCommerce are all pointing to the importance of a solid SEO strategy. Keeping up to date on the latest in SEO is key for growing an eCommerce business; studies suggest that SEO has the highest return to eCommerce businesses when compared to any other type of marketing campaign. Investing in a well-thought-out SEO strategy can lead to increased traffic on your site and more conversions. It can also provide a high return on investment (ROI). Additionally, in comparison with other online marketing strategies like buying ads or pay-per-click (PPC), optimizing your site for search engines yields results over the long-term, as opposed to a spike in traffic followed by a decline after an ad campaign ends. B2B eCommerce companies have a number of unique requirements that make search engine optimization strategizing different than it is for B2C companies. Our eCommerce guide to B2B SEO is therefore designed to help you understand how SEO can help your B2B eCommerce site. We base this on the specific requirements of the B2B business model. We also draw on some of the tried-and-true SEO strategies that are applicable to any type of eCommerce business. First of all, why should you think of SEO for B2B any differently than SEO for B2C? In short, SEO for B2B is the art of reaching business professionals who are relevant to your business via internet search engines. Because of the unique requirements of the B2B universe, there are lessons for SEO strategizing that are particular to the B2B model. In contrast to individual purchasers in the B2C model, B2B purchases tend to look more like long-term, larger investments. This often means that more stakeholders in the client company need to weigh in before a purchase decision is made. These team members will approach a purchase decision in different ways than individual consumers would, meaning they are likely to be using different search queries. B2B eCommerce companies also look to reach highly specialized audiences who are, in turn, looking for niche products for their businesses. Keep in mind that SEO for B2B is not just about optimizing your site to get the highest possible ranking in keywords, but about finding ways to reach a specific target audience. With these requirements in mind, we now turn to B2B SEO best practices. Keywords, also known as search queries or terms, are the phrases that someone types into a search engine. B2B SEO strategies need to be designed around targeted, specific keywords because B2B companies are looking to reach a specific set of stakeholders. B2B SEO strategies rely on high-value but low-volume keywords. This intuition is different than B2C SEO strategies, where businesses are often looking to reach a much larger potential market. B2C SEO strategies often seek to reach the largest number of people possible by integrating several different keywords into a site in order to attract more organic searches. A high volume of site visitors will not be as beneficial to a B2B store, though, if the visitors who find the site through a search are not potential buyers for a company that needs your product. This is where understanding your audience comes in. In contrast with many B2C customers, most potential B2B customers are likely to have a much more specialized knowledge of the products they are looking for. They are likely looking for a very particular set of features in the product or service. Also, they are more likely to be seeking evidence that your company is deeply knowledgeable about the product or service you offer. For this reason, when creating your B2B SEO keyword strategy, think carefully about what your audience is looking for and what kind of language would be appropriate for your particular audience. Creating new long form content is a great way to bring in site visitors. It is also a great way to share your knowledge and expertise about your product or service. Long form content is a good place to insert your SEO keywords to draw organic traffic. These are visitors who find your site through a search engine rather than through a paid ad, to your site. For this reason, some B2B businesses create a specialized blog or newsletter on their site that acts as a resource in addition to attracting potential customers. Research has shown that longer pieces of content (generally more than 1,000 words) tend to generate more likes and shares. This is because the average blog post tends to be 500-700 words long, and longer content stands out more. This is especially true when they convey unique or important information that is of interest to a particular audience. Additionally, the bounce rate and the amount of time a visitor spends on your page are factors that search engine algorithms take into account when ranking a site. Long form pieces tend to attract visitors that stay on a site longer and make visitors likely to click through to other pages, thereby improving your search ranking. However, it’s important that the writing be high-quality content, not just prose that is stuffed with vaguely relevant keywords. It may take more time and company resources to create high-quality content, but it can be worth it to create evergreen content that demonstrates your authority in your sector. Long form content can also be re-purposed for different marketing campaigns later on. You may also choose to create content for high-traffic, high-authority sites like Medium, LinkedIn, or Quora. This content can also attract shares and establish your authority in the field while attracting visitors to your site through links. As we have already mentioned, B2C SEO tends to involve higher search volumes and fewer decision-makers. This is because most B2C purchasing decisions are made by one customer, while B2B purchasing decisions are typically made by a team of stakeholders. B2B purchasing decisions are also likely to be made over a much longer sales cycle. Stakeholders will want to do more dedicated research and reach a consensus about a high-volume purchasing decision. This also means that B2B SEO content should not be oriented primarily around converting organic visitors into immediate sales. Most potential B2B customers use a Google search as just one step of a longer research process before deciding on a product to purchase. While a lower conversion rate sounds like bad news, this actually just means that a B2B eCommerce site’s content should be oriented differently. B2B companies should focus on competing with long form content and home pages rather than with eCommerce product pages. All customers, whether B2B or B2C, wants to feel like they’re receiving personalized attention. However, because of the longer sales cycle, B2B customers are more likely to appreciate the opportunity to speak directly with your representatives. This is especially the case for new customers, who will need to do more research about the product. It’s also true for B2B companies that sell high-priced products or work primarily through long-term contracts. Your conversion rates are likely to be higher if you produce personalized customer service options. Use your B2B site to create opportunities for customers to communicate with your representatives. The Magento platform supports a variety of customer support extensions, from click-to-call to contact forms that can be used to develop leads. We have established that B2B SEO requires a different outlook and strategy than B2C SEO. However, there are still several lessons to take from tried and true SEO strategies. These are often just as applicable to B2B as they are to any other type of eCommerce business. Internal Linking: Internal links connect different parts of your site. They help to establish an internal hierarchy or site structure. Internal linking can be used to show search engines which pages within your site are the most authoritative. For example, if you have a product page and a blog post that mentions the product, the two pages should link back to one another. This will signal the hierarchical structure of your site to search engines. Internal linking helps search engines like Google index your site, thereby improving your site’s ranking in search results. Optimize for Mobile: Google recently updated its algorithm to emphasize the quality of mobile versions of websites. This means that sites with high-quality mobile versions will receive higher search rankings. The Magento platform includes a number of features that will help you build a more responsive mobile site, including Progressive Web Applications (PWAs), responsive themes, and mobile-friendly checkout. More eCommerce sales are taking place over mobile devices than laptops or desktops. Therefore, optimizing for mobile has the helpful side effect of making your site easier to navigate for many customers. This, in turn, helps to increase conversion rates. Optimize Your URLs: Without careful attention, eCommerce URL slugs can start to get messy. Descriptive URLs are important because keywords found in URLs are a search engine ranking factor. Also, more descriptive URLs help to encourage user interaction. Both search engines and human visitors use URLs to get a sense of what they might find on a page. At the same time, it is important to stay away from keyword stuffing. This is the practice of inserting strings of vaguely relevant keywords into a URL. If you use keyword stuffing you may end up getting a page flagged as spam. As a rule of thumb, URLs should be immediately intelligible to site visitors. For example, a product page’s URL might look something like this: www.yourdomain.com/category‐name/subcategory‐name/product-name. IronPlane is a leading, full-service Magento eCommerce agency. We provide front and back end programming, customization, and integration with third-party services. We also provide SEO optimization services for both B2B and B2C eCommerce companies. Our team of Magento experts is led by a certified Magento Master. Additionally, our team has 10+ years of experience in developing eCommerce solutions for numerous types of businesses. We can also optimize your site for speed, do custom development work, and provide custom Magento-optimized hosting. Additionally, we can assist with migration from Magento 1 to Magento 2. Work with us to learn how SEO can help your B2B eCommerce site. Our method involves listening to you and learning about your business goals and KPIs. We then develop a technology plan to accomplish your goals. Once you’ve approved the plan, we work to break it down into concrete deliverables. We will identify and report on metrics to measure and monitor how your eCommerce site is doing. Finally, we will conduct tests and revisions based on those metrics. Book a free consultation appointment with our team today to learn more about what we can provide. We work with a diverse array of eCommerce companies, from B2B to B2C and from small businesses to large corporations. 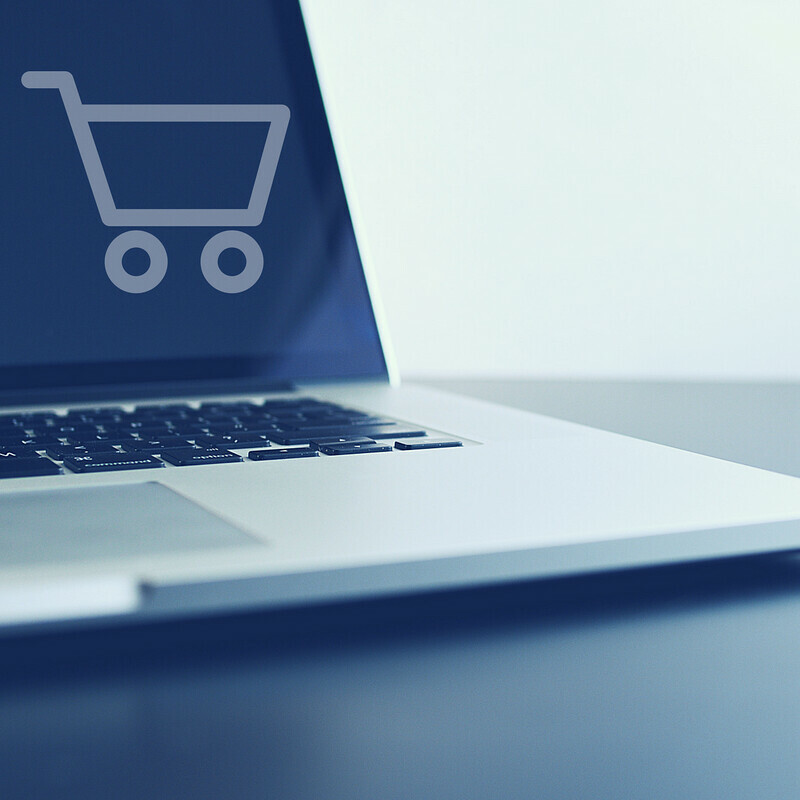 Read about our client success stories to learn more about the wide variety of solutions we can offer your eCommerce business. Regardless of the size of your project, our team is ready to help. Our team is prepared to learn about your unique requirements and offer you a way forward.